At the Restore Point step of the wizard, select the necessary restore point from which you want to restore disk(s). In the list of restore points, Veeam Agent for Linux displays all restore points that have been created. 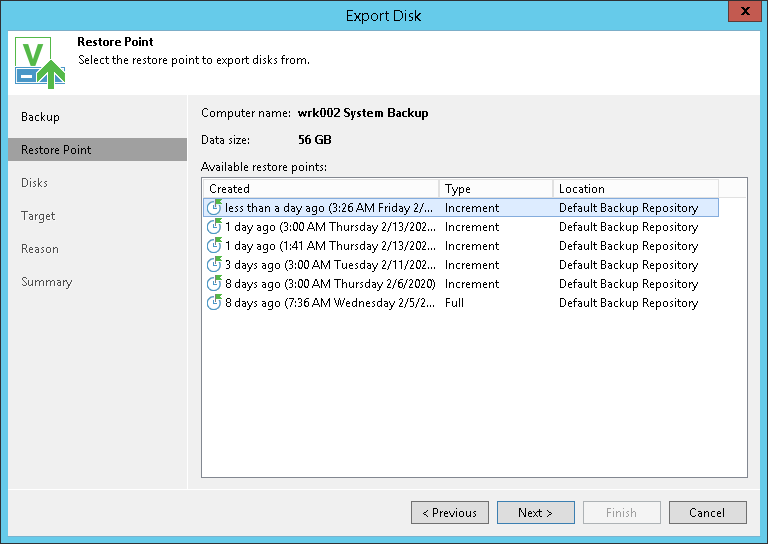 Make sure that you select a restore point that relates to a volume-level backup.